My parents gave me my birthday present a couple months early. 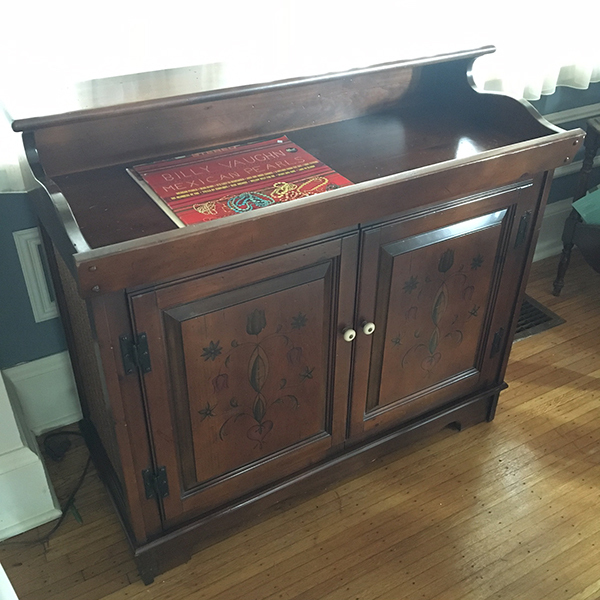 It's a vintage record cabinet! Ever since my old record player broke, I've had my eye out for something like this. 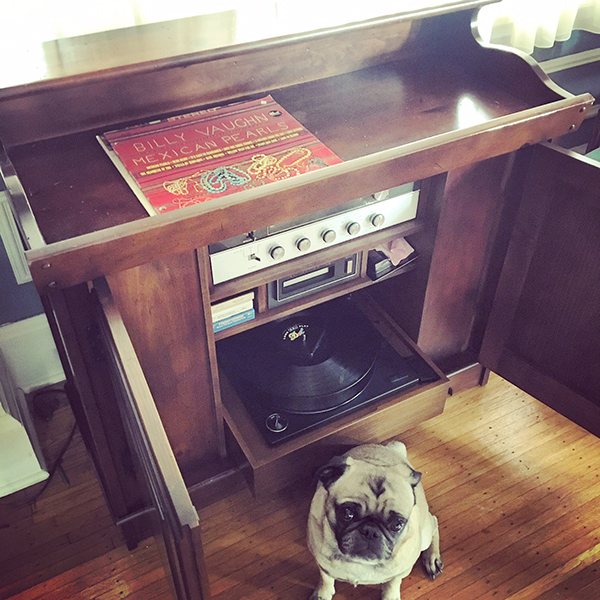 Now I have a record player for the living room and the dining room. The front of the cabinet opens to reveal the record player, stereo and even an 8 track! This record player can hold multiple records which is so nice. I don't have to keep flipping a record or swapping it out every few minutes. Hugo wants to know where the dog treats are stored. These are not all the records I have but rather the types of records I collect. 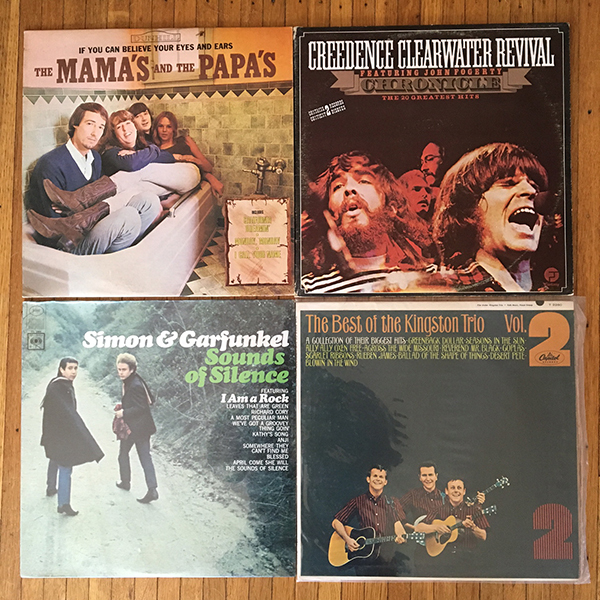 Here are a few of my current artist records. 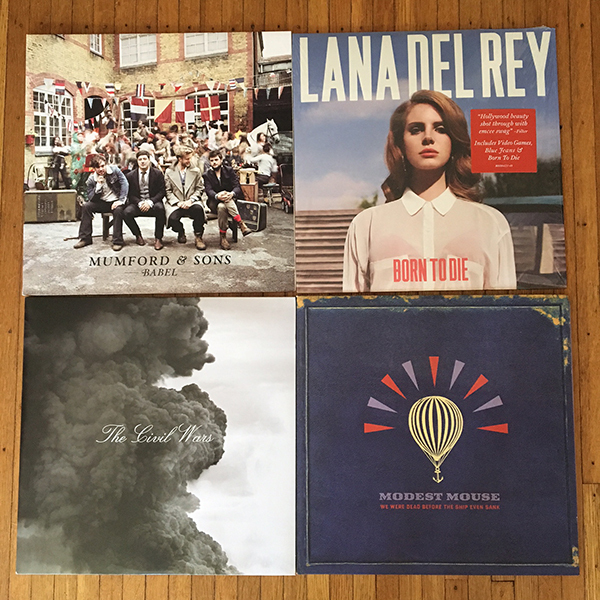 Basically if I really like an album, like almost every song, then I get the vinyl record of it. 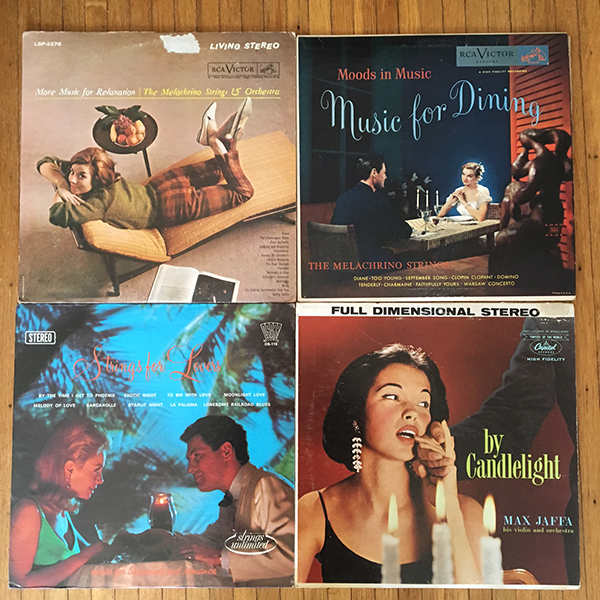 Most of my records are vintage and found at yard sales and thrift stores. I like a lot of oldies... particularly folk groups... like Kingston Trio and Peter Paul and Mary. That is why I find the movie A Mighty Wind hilarious. And I love this particular type of instrumental music... I don't know what the name for it would be... trumpets and guitars I guess. 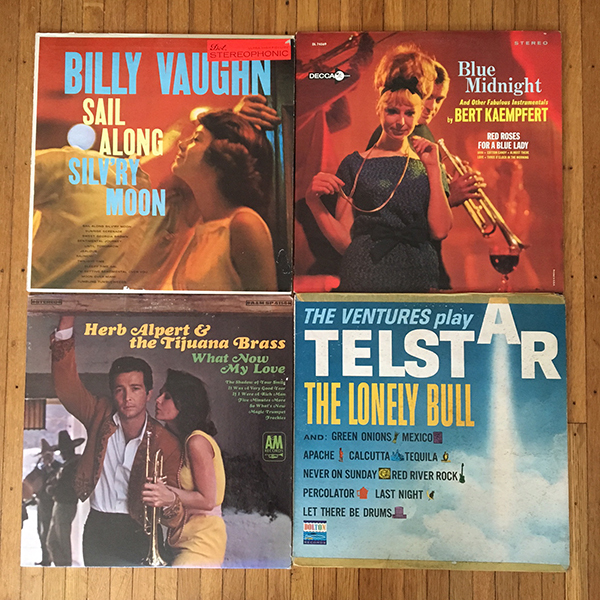 Billy Vaughn, Bert Kaempfert, Herb Alpert and The Ventures. I also love albums that are instrumental but not from any particular band. More so, they have a theme, such as Music for Dining or Fiddles by Firelight. They are perfect background music to have playing while I'm puttering around the house. The last type of records I look for are soundtracks. 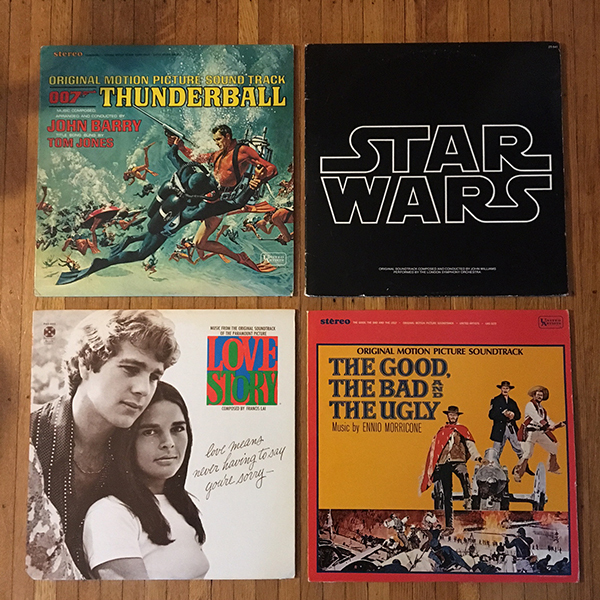 I love soundtracks in general (See here, here and here), so that has carried over to my record collection. The cabinet is amazing!!! We have the Simon and Garfunkel vinyl and the Love Story one, too. My dad still has my childhood collection of children's stories on vinyl he plays for the grandkids. You have the best collections! I'm glad I'm not the only one out there collection these! Awesome!It is the amazing collection. It always is the great method help me relax a lot. Thanks.